This article originally appeared in English on the SAIS Review of International Affairs’ website, and can be found here: http://www.saisreview.org/2015/02/20/human-rights-under-threat-denationalization-and-dominicans-of-haitian-ancestry/ The version COHA has published is slightly edited for style, done with the permission of the authors. “My life has been paralyzed for over seven years,” twenty-five-year-old Elena states soberly. Although born and raised in the Dominican Republic, recent legal and judicial reforms use her foreign ancestry as an excuse to revoke her right to Dominican citizenship. Like Elena, other Dominicans of Haitian ancestry have been disproportionately affected under this formula. Elena grew up in a batey, a sugar cane town, and would regularly walk several kilometers to attend high school. Her parents were contracted and brought from Haiti to work in the batey before she was born. In 2010, when she went to the civil registry in the Dominican Republic office to get the necessary paperwork to attend college, she was denied the documents; her parents were considered “foreigners” by the state. Given the opportunity, Elena would likely have graduated from university this year. Instead, she is currently working to pay for her mother’s medical treatments and to support her family. Since 2007, she has paid for countless trips to the capital, Santo Domingo, as well as for substantial bureaucratic fees called for by the medical and legal system. The significant financial and personal burden to Elena is just one more expense in conjunction with a series of contradictory and prejudicial laws and regulations implemented by Dominican officials. Yet, Elena’s story is not unique. According to the United Nations High Commissioner for Refugees (UNHCR), she is one of an estimated 210,000 stateless Dominicans of Haitian ancestry whose life and welfare remains suspended in judicial limbo. Dominicans of Haitian ancestry have had to face a host of obstacles in confronting the discriminatory policies of the state in order to obtain documentation. Although the Dominican Republic has exhibited a long history of anti-Haitianism, the roots of Elena’s legal situation can be traced back to 2004, when Law 285 was passed. This Dominican migration law attempted to strip birthright citizenship from Dominican-born children based on the alleged fraudulent migration status of their mothers. Subsequently, the law imposed an end to birthright citizenship for the children of temporary workers, like Elena, even when denationalization constitutes a human rights violation and contradicts the Dominican constitution that previously had been exhibited. At the time, the latter guaranteed birthright citizenship to all those born within Dominican territory with such a background. The process of de-nationalization is rooted in the misinterpretation of mothers’ irregular migratory status as being “in transit.” The origins of the legal definition of “in transit,” according to a 1939 Dominican immigration law, refers to people with plans to proceed to a third country and, thus, whose stay in the Dominican Republic was not to exceed ten days. Based on this definition, the term “in-transit” does not apply to most Haitian migrants in the Dominican Republic. Historically, neither Migration Ruling 279, which described for the record the laws from 1939, nor the Dominican Constitution attempted to characterize the status of migrant workers—who are mainly of Haitian ancestry—as “in transit.” This characterization initially granted Elena and many others of Dominican citizenship, but now had stripped her of it. Beginning in 2007, the new definition of “in transit” was retroactively applied to residents who had been eligible for or had been legally granted Dominican citizenship, like Elena. The process of denationalization has steadily gained traction since the implementation of administrative memos Circular 017 and Resolution 012 by the Central Electoral Board. These memos require government officials to verify the migratory status of parents whenever an individual requests a copy of one’s own birth certificate, leading to the suspension of documents and effective denationalization of Dominicans of Haitian ancestry. During this period of time, the Constitution also experienced a series of changes, the majority of which continue to disenfranchise Dominicans of Haitian ancestry and prevents them from attaining birthright citizenship. In 2010, the Dominican Republic passed a new constitution with a significant change in its definition of Dominican citizenship and eligibility. Specifically, Article 18 now states that all those who had Dominican citizenship status before 2010 would now no longer be considered citizens of the country. However, children born in the Dominican Republic to foreigners not legally residing in the country would henceforth be ineligible to become citizens as a birthright. Denationalization has since peaked with the Constitutional Tribunal Sentence 168-13 of 2013, which retroactively scaled back birthright citizenship, or jus soli. Not only was the sentence widely believed to be unconstitutional in the Dominican Republic and abroad, but it prevented thousands of eligible Dominicans, who have always considered themselves as Dominicans, from ever being able to acquire their legal documents, while retroactively stripping citizenship from many who previously had received identity documents. In the Dominican Republic, official identity documents are necessary to perform even the most rudimentary tasks. Without a cédula (the official Dominican identity card), Elena, and others like her, cannot open a bank account, marry, vote, or register the birth of her future children. In order to maintain some normalcy in their lifestyle, denationalized Dominicans are completely dependent on the support of good Samaritans to meet their basic needs, such as obtaining a phone or cashing a check. Earlier this year, Elena went to a clinic to receive an eye exam, but was refused service because she did not have a cédula. Being denied such services has become a daily burden for Elena. Due to its legal and social consequences, Sentence 168-13 provoked an international and local outcry, leading to censure abroad by major trade partners and foreign organizations. Members of the Caribbean Community (CARICOM), particularly St. Vincent and the Grenadines, called for sanctions based on the laws. Keeping the post-Sentence 168-13 status quo became politically and socially unsustainable. Dominican Republic President Danilo Medina ordered the implementation of a National Regularization Plan for Irregular Migrants, as mandated by Sentence 168-13. It had been stipulated in the 2004 Migration Law but never implemented. When it became clear that those subjected to denationalization would not be eligible for regularization—which is intended for people who were born outside of the Dominican Republic only—legislators worked quickly to pass naturalization Law 169-14 in May 2014. This mandated the reissuance of documents to all those who previously held them (designated as group A of those affected) and proposed a naturalization plan for those who did not previously hold legal documents, but with roots in the Dominican Republic since their birth in the country (defined as group B). The law generated some hope, particularly among Dominicans and other high-profile international cadres, that the issue of immigration reform has been at least partially resolved. United States Vice President Joe Biden and United Nations (UN) Secretary-General Ban Ki-moon both expressed their hope over the new legislation. In July 2014, rules of procedure were put forward to determine the necessary steps for groups A and B to obtain their documents. New procedures were also created as a result of these procedures that would address group A’s immediate restoration of documents and the naturalization of group B. While lauded for creating legal and institutional tools to resolve the issue of nationality-stripped Dominicans of Haitian ancestry, both the rules of procedure and the law have been criticized by human rights defenders. One of the main criticisms is that the law puts group B in a position of statelessness for at least two years before the affected individuals may be eligible for Dominican nationality. In addition, members of group B have to initially register as “foreigners” when, up until 2010, they had been deemed eligible for nationality by the then-constitutional principle of jus soli. Another criticism concerns the bureaucracy of both restoration of documents for group A and naturalization processes for group B. Despite provisions allowing for access to cost-free processes for both groups, transportation and notary costs—necessary to participate in the process— represent a heavy burden for a population that often struggles to afford to eat three meals a day. This is added to the persistent chaos and confusion on the part of officials at local governors’ offices, where concurrent processes of regularization for irregular immigrants born in Haiti and the registration for the naturalization of denationalized Dominicans of Haitian descent are taking place. Testimonies of those affected suggest that neither process is being implemented as planned. After the passage of the naturalization law, Elena, part of group A, went to pick up a copy of her birth certificate, but she was denied. To this day, her certificate is stamped in red, showing her documentation as temporarily suspended. Even those whose documents have been re-issued have found that they still cannot access the rights they had with their original documents. In the case of Dilia and many other individuals, the burden of remaining undocumented becomes intergenerational when mothers who are part of the affected group cannot declare the births of their children. Thus, children inherit the same uncertainty as their parents, specifically their mothers. Since then, Dilia has been unable to register her daughter’s birth. Unregistered, it will be difficult for her daughter to attend school and get a formal education. Elena has expressed similar grievances in attempting to register her younger brother: “Because he does not have documents, his life will probably be harder than mine.” The differences in the requirements to attain documentation, even within the same family, make the process of naturalization even more confusing for affected families and can provide another potential barrier to attaining documentation. Due to the lack of a nationwide information campaign, combined with unprepared government officials who may make arbitrary decisions, it is unlikely that Law-169-14 will make a significant difference. The law remained unimplemented a month into the ninety-day application period for the non-registered members of group B. In the most recent hearing of the IACHR, attorney Jenny Morón specified several failures of the implementation of Law 169-14, namely the lack of offices equipped to process documents, insufficient or deficient service, and excessive documentation requirements from applicants and their parents. Additionally, Morón provided evidence that officials continue to violate the procedures established by Law 169-14. Testimonies of affected persons demonstrated that officials of the Ministry of the Interior and Police have incorrectly processed those born in the country through the Regularization Plan for Foreigners, refuse to register children born after April 2007—when the new definition of “in transit” began to be applied to them—and are demanding more affidavits for applicant processing than the law requires. If affected persons are unable to complete this process by January 28, they may be subject to possible deportation from the Dominican Republic. Considering that only slightly over a year ago, these Dominicans had access to the full rights of birthright citizenship, the gravity of the situation is especially striking. Even if the law had been implemented from the beginning, its effects would likely have been, and will continue to be, limited. According to a report by the United Nations, less than one percent of Dominicans of Haitian ancestry affected will likely be able to benefit from Law 169-14. Additionally, the Central Electoral Board has not only failed to effectively apply the law, but, in some instances, has blatantly breached it. In a particularly egregious case, on September 23 2014, the Board’s inspectors interrogated 13,000 Dominicans of Haitian ancestry in group A about their legal status behind closed doors, without permitting them access to legal representation or counsel. After the six months’ finite period for Group B has expired at the end of January 2015, only 8,755 persons, according to official figures, have managed to register and may be eligible for naturalization after two years. By the end of 2014, the Inter-American Court of Human Rights (IACHR) ruled against the Dominican Republic for violating the human rights of hundreds of thousands of Dominicans of Haitian ancestry since the 1990s. In addition to ordering the Dominican Republic to reinstate the nationality of 27 individuals who were deported under false pretenses, the ruling urged the nullification of Sentence 168-13 and sections of Law 169-14. Since the Dominican Republic ratified the Court’s conventions in 1999, this ruling is legally binding. 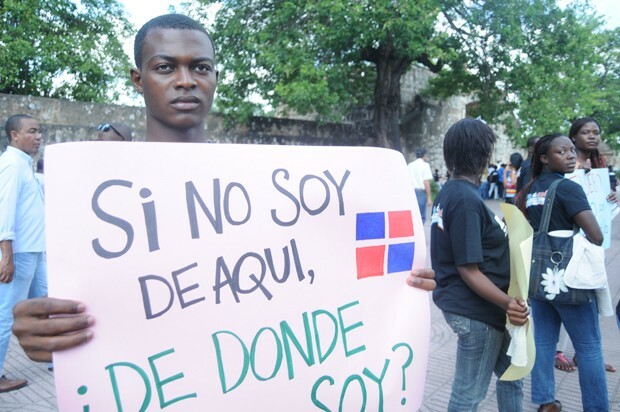 In response to the reluctance of the Dominican Republic to address human rights abuses against Dominicans of Haitian ancestry, civil society organizations continue to advocate for the right of affected persons to Dominican citizenship. On December 10 2014, civil society organizations in the Dominican Republic hosted a series of presentations and expert panels on the issue of human rights. The intention of this programming was to raise awareness and “fortify the culture of respect on the issue of human rights in the Dominican Republic.” It is the collective efforts of dedicated advocates and affected persons that keeps this issue in the public consciousness and, together with international pressure, will be responsible for effective measures that restore the rights of Dominicans of Haitian ancestry. The year 2015 has already been marked by an increase in iron fist policies. Military exercise Operación Escudo (Operation Shield), aimed at controlling irregular immigration and illegal drug and arms trafficking at the border, led to 22,000 foreigners being detained. In addition, the Border Commission of the Dominican House of Representatives announced its proposal to build a wall between the Dominican Republic and Haiti in order to “prevent an avalanche of illegal Haitians,” which will be presented in Congress on February 27. The institutionalized marginalization of Dominicans of Haitian ancestry will continue so long as the current political establishment remains in power. The ultra-conservative factions of the ruling Partido de Liberación Dominicana (Dominican Liberation Party, or PLD) and minority parties such as the Fuerza Nacional Progresista (National Progressive Force, or FNP) remain the major promoters of anti-immigrant policies and restrictive citizenship measures. The international community must remain vigilant in supporting advocates for the rights of Dominicans of Haitian ancestry and demanding accountability of the Dominican government. 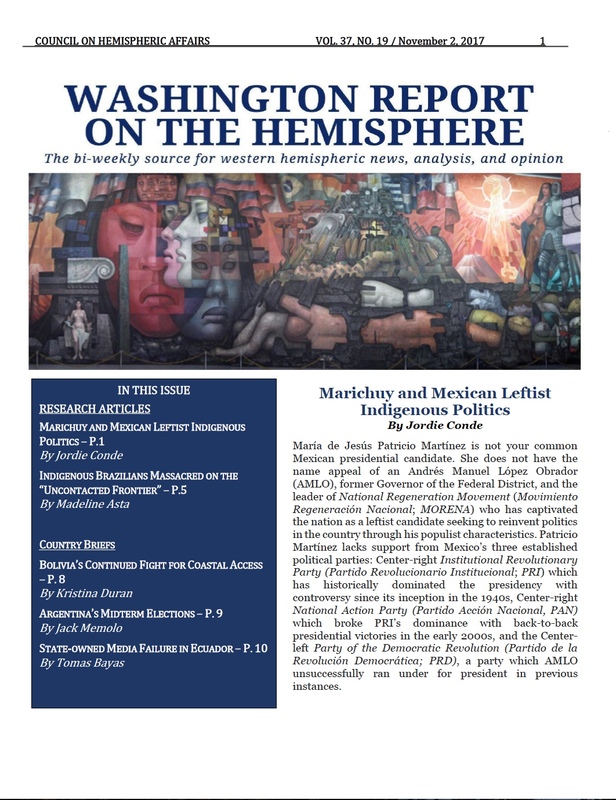 Natalia Cote-Muñoz is a Research Fellow at the Council on Hemispheric Affairs (COHA) and Swarthmore College 2012 alumna who has researched, published articles about, and worked in Latin America and the United States. She currently lives in Beijing teaching at the China Foreign Affairs University through the Princeton in Asia fellowship. Verónica Alma Rosario is a senior at Tufts University, graduating with a dual degree in International Relations and Spanish minors in Africana and Latino/a Studies. A Gill Fellow at the Center of Race and Democracy and a Tisch Scholar for Citizenship and Public Service, she is currently completing her thesis on the denationalization of Dominicans of Haitian ancestry and its affect on the governability of the Dominican state. This article was written based on Cote-Muñoz and Rosario’s research while working together at the Centro para la Observaciόn Migratoria y el Desarrollo Social en el Caribe (OBMICA) and Dominican@s por Derecho (DxD). Special thanks to Bridget Wooding, Allison Petrozziello, Clara Morel, and Juan Carlos González Díaz for their support throughout the research, writing, and publication of this article. Additional thanks from the author are attritbuted to Horacio Rodríguez, formerly from Centro Bonó, for his legal expertise on the Dominican constitution and recent legislation affecting Dominicans of Haitian ancestry. We would also like to recognize the contributions of those affected whom we have interviewed for this article, specifically Elena, Dilia, and their families. This article is dedicated to them, for it is their courage and persistence in the face of such adversity that has inspired us to write. Seguimos en la lucha con ellas. All images attributed to the authors. “Dominican Republic.” UNHCR News. Accessed October 11, 2014, http://www.unhcr.org/pages/49e4915b6.html. ; “Dominican Republic-Haiti Relations.” Americas Quarterly, July 14, 2014, http://www.americasquarterly.org/tags/dominican-republic-haiti-relations. Wilhelmina Agyapong, “Troubled Haitian-Dominican Bilateral Relations Await Progress,” Council on Hemispheric Affairs, February 27, 2014, http://www.coha.org/troubled-haitian-dominican-bilateral-relations-await-progress/. “Ley 285 De La República Dominicana (Law 285 of the Dominican Republic),” August 15, 2004, Articles 36.5 and 36.10. Peynado, Jacinto “Reglamento de migración n° 279 (Migration Ruling n° 279),” May 12 1939, Section V.a) and V.b). Horacio Rodríguez esq. in discussion with co-author Verónica Rosario at the Centro Bonó, July 2014. “Constitución de la República Dominicana (Constitution of the Dominican Republic),” November 26, 1966, Article 11.1. Inter-American Human Rights Court, “Caso de las Niñas Yean y Bosico vs. República Dominicana (Case of Yean and Bosico vs. Dominican Republic),” September 8, 2005, pars. 239-241. Junta Central Electoral (Central Electoral Board), “Resolución 12/2007 (Resolution 12/2007),” par. 1. “Constitución de la República Dominicana (Constitution of the Dominican Republic),” January 26 2010, Article 18. Dominicanos por Derecho (Dominicans for Rights), “Análisis de la Sentencia No. 168-13 del Tribunal Constitucional de la República Dominicana (Analysis of the Dominican Republic’s Constitutional Tribunal Sentence 168-13),” October 2013, http://dominicanosxderecho.files.wordpress.com/2013/10/puntos-de-anc3a1lisis-de-la-sentencia-no-168-13-definitivo.pdf. 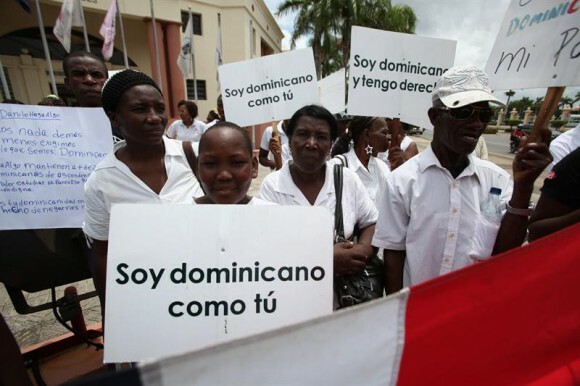 “Haiti – Denationalization: Sanctions requested against the Dominican Republic,” Haiti Libre, November 13, 2013, http://www.haitilibre.com/en/news-9861-haiti-denationalization-sanctions-requested-against-the-dominican-republic.html. Elena in discussion with co-author Verónica Rosario, August 23, 2014. Ezequiel Abiu Lopez, “VP Biden in Dominican Republic Talks Energy, Crime,” AP: The Big Story, June 19, 2014, http://bigstory.ap.org/article/biden-dominican-republic-talk-energy-crime. 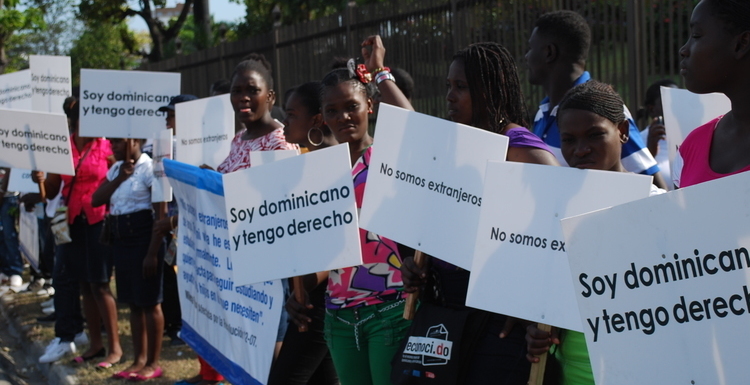 Dominicans X Derecho, “#Plataforma169 Denuncia Decreto 250-14 No Se Está Cumpliendo,”August 27, 2014, http://dominicanosxderecho.wordpress.com/2014/08/27/plataforma169-denuncia-decreto-250-14-no-se-esta-cumpliendo/. Dominicanos X Derecho, “DXD En Audiencia Temática CIDH: Ley 169-14 No Resuelve El Problemas De Dominican@s Desnacionalizados,” November 1, 2014. Dominicanos X Derecho, “URGENTE: Plazo De 90 Dí­as Del Reglamento Ley 169-14 Dio Inicio El Pasado 29 De Julio,”August 6, 2014, http://dominicanosxderecho.wordpress.com/2014/08/06/urgente-plazo-de-90-dias-del-reglamento-ley-169-14-dio-inicio-el-pasado-29-de-julio/. “ONU Afirma Menos De Un 1% Se Ha Beneficiado Ley De Naturalización,” El Nuevo Diario, September 23, 2014, http://www.elnuevodiario.com.do/app/article1.aspx?id=392171. Dominicanos X Derecho, “Comunicado Dominican@s Por Derecho: Reclamamos la Intervención del Presidente de la República y del Congreso Nacional para hacer a la JCE Cumplir con la Ley,” October 8, 2014, http://dominicanosxderecho.wordpress.com/2014/10/08/comunicado-dominicans-por-derecho-reclamamos-la-intervencion-del-presidente-de-la-republica-y-del-congreso-nacional-para-hacer-a-la-jce-cumplir-con-la-ley/. 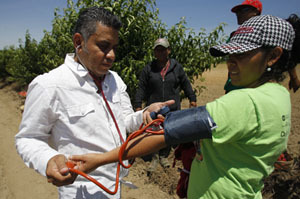 Viviano de León, “Suman 8,755 Los Extranjeros Inscritos Para Naturalización,” Listín Diario, February 3, 2015, http://www.listindiario.com/la-republica/2015/2/3/354846/Suman-8755-los-extranjeros-inscritos-para-naturalizacion. Inter-American Court of Human Rights, “Expelled Dominican and Haitian People v. the Dominican Republic,” October 22, 2014, http://corteidh.or.cr/docs/casos/articulos/seriec_282_esp.pdf. Inter-American Court of Human Rights, “Basic Documents – Ratifications of the Convention,” http://www.cidh.org/Basicos/English/Basic4.Amer.Conv.Ratif.htm. Adriana Peguero, “Gobierno Emite Declaración De Rechazo a Sentencia CIDH,” Listín Diario, October 23, 2013. Degenis de León, “Legisladores Piden RD Abandone La Corte Interamericana De Los Derechos Humanos,” El Día, October 23, 2014, http://eldia.com.do/legisladores-piden-rd-abandone-la-corte-interamericana-de-los-derechos-humanos/. Panky Corcino, “Juristas Entienden Que Fallo Del TC No Anulará La Competencia De La Corte Interamericana Sobre RD,” 7dias.com.do, 5 Nov. 2014. “Día Internacional De Los Derechos Humanos: Calendario De Actividades Conmemorativas Sociedad Civil En RD.” Dominicans X Derecho, December 10, 2014. “Ejército dominicano redobla esfuerzos en Operación Escudo,” Traslashuellasdigital.com.do, January 26, 2015. Accessed on January 26th 2015. http://www.traslashuellasdigital.com.do/2015/01/26/ejercito-dominicano-redobla-esfuerzos-en-operacion-escudo/. “FNP propondrá construir muro para envitar (sic) migración de haitianos a RD,” Acento.com.do, January 13, 2015, http://acento.com.do/2015/actualidad/8212359-fnp-propondra-construir-muro-para-envitar-migracion-de-haitianos-a-rd.